Grocery Store Marketing and Non-Marketing Services - Sales and Support - 844-4IMPGRO or 844-446-7476 CALL NOW! The USDA has provided an example of a manual grind log for you to use to record your grinds, case pulls, lugs pulls (if you add trim, etc. ), and cleans. It has a place for you to write in the date and time, a place for the Manufacturer Name of Source Material used for Product Produced, a place for Supplier Lot Numbers / Product code and/or date of Source Material used, a place for the Establishment Number, and a place for the Date and Time of Grinder and related FCSs are Cleaned and Sanitized. It also has an area for the Signature of the Store Management Reviewer. Each of these places need the right information written in them. It needs to be legible and correct. 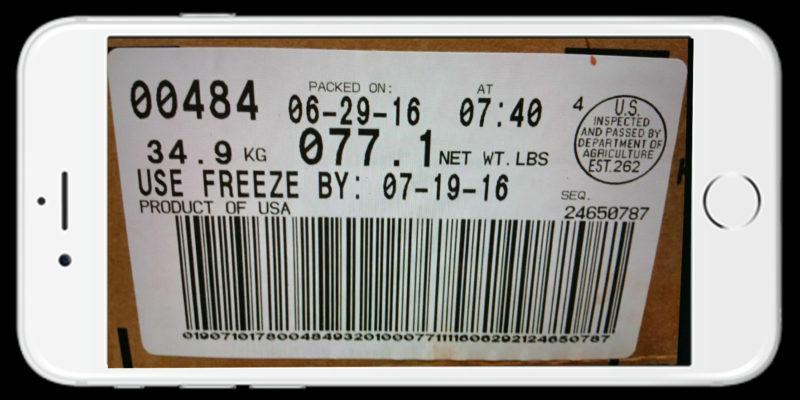 The information is pulled off of the case label which has a 128 barcode on it. The 128 barcode has 44 digits that contain all the information you need except the Establishment Number. SPECIAL NO CONTRACT PRICING: Sign up now and get Grind Log Pro for only $10 a week! You can start using Grind Log Pro today! The USDA Food Safety and Inspection Service posted their final rules and regulations on Monday, December 14, 2015. 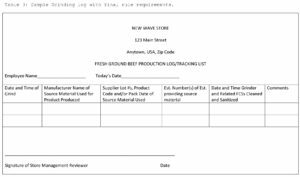 They made many changes to the requirements of grocery stores record keeping for their beef grind log enforcement. Get Grind Log Pro Today! Grind Log Pro is only $10 per week "PER STORE". Each store can have multiple users and multiple devices. 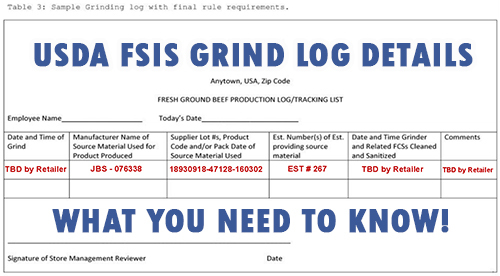 A FSIS USDA beef grind log law solution. Automatic electronic grind log. Grind Log Pro for the USDA Beef Grind Law Compliance. Only $10 a week with no long term contract. Month to Month. 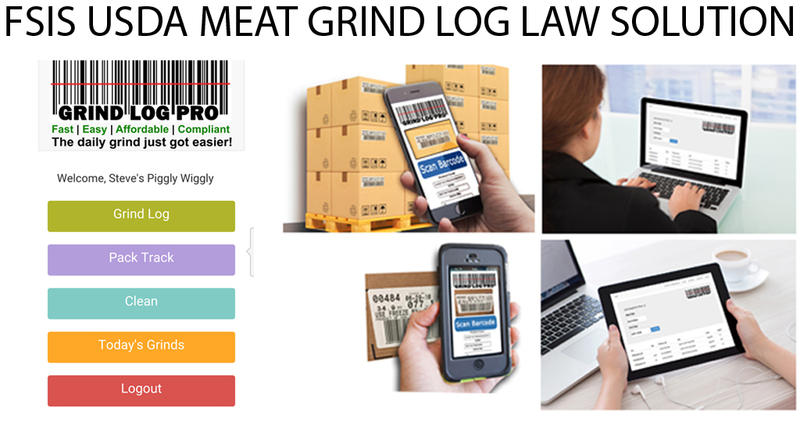 Grind Log - Grind Log Pro is a super fast / easy Grind Log Solution to the USDA FSIS enforcement. An electronic Grind Log for beef / meat grinds and cleans. Copyright © 2016 Grocery Store Online Marketing | Grocery Store Websites | Supermarket Marketing | Loyalty Programs. Apple, the Apple logo, iPhone, and iPod touch are trademarks of Apple Inc., registered in the U.S. and other countries. App Store is a service mark of Apple Inc., registered in the U.S. and other countries. iTunes is for legal or rightholder-authorized copying only. Don’t steal music.